Under the spotlight this week is Graham Robinson, our energetic Production Manager. One of the newest members of the Linkam team he's already made his mark on the production department, and the company as a whole, by helping reduce the time it takes to make and repair your stage. The satisfaction of working in a great team environment. I was working as a cycle time leader at Honeywell Wheels and Brakes Repairs Company. 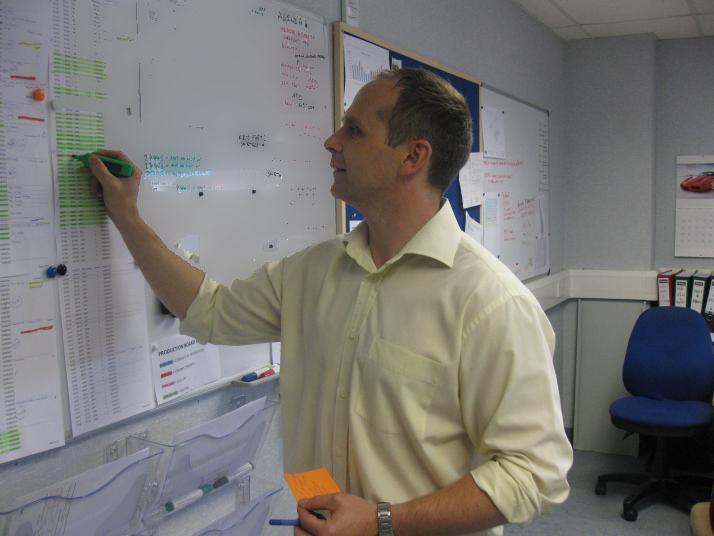 My role was to reduce lead times and remove as much 'white noise or waste' from the processes as possible and to add value to the value systems. Why did you choose a production career? I started out as a fly press operator and naturally progressed to supervisor/team leader. I then moved on to management. I always wanted to be a footballer though. Making 'something' out of nothing. Yes, the mindset has changed and there is a noticeable air of everybody rising up to meet a challenge. I watch rugby, go to the gym and enjoy outdoor sports. I like reading sports autobiographies. I would like to become an Operational Manager. Turkey - Oludeniz (the blue lagoon) where it rained for three days straight. But that didn't deter me from swimming in the thunderstorms!